Those rustic properties are found in Juncares around 10 minutes from Iznajar. 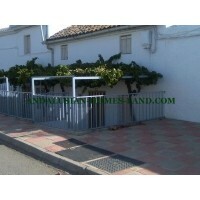 They are a 300m2 build and 200m2 plot, with mains connections. They are found amongst a other houses. . Apartment for sale in Iznajar as views of the lake. Hallway,. large kitchen. Sitting-room, large bathroom with bath/shower, Large double bedroom. 2 other double bedrooms with built-in wardrobes. Air conditioning and heating. This property is perepared for central heating. 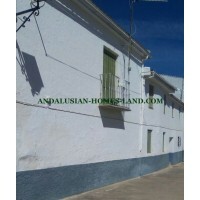 Townhouse for sale in Iznajar located in a calm street of easy parking and few meters of the town center. Iznajar is a nice village surrounded by a lake. Town is twenty minutes of the highway of Malaga and forty five minutes of the airport.